During my recent interview on Wisconsin Public Radio, many of the callers asked questions related to environmental risks of Parkinson’s disease (PD), specifically, exposures related to farming. Those calls prompted me to delve further into this complicated and murky topic. A person’s genetic makeup is likely more important in determining whether he or she develops PD than any environmental risk factor. This is probably the case even in a person without a known family history of PD. However, environmental exposure may be important in triggering the disease in a person genetically susceptible to it. It is important to note that any particular environmental exposure that we will talk about, typically increases risk of PD by a very small amount. The risk will also depend on dosage and frequency of exposure, which means that a small and/or infrequent exposure may have a very small impact on PD risk. There are some chemical exposures that appear to decrease the risk of PD, such as coffee or non-steroidal anti-inflammatory medications. A full understanding of someone’s PD risk needs to take into account all of the factors that both increase and decrease risk. It is more than likely that additional chemicals in our environment, ones that haven’t yet been studied and which I will therefore not mention here, impact risk of PD too (by increasing or perhaps decreasing it). Living in a modern society means being exposed to a variety of chemicals whose risks we don’t completely understand. With that background, let us begin. living in a rural area. Of course, all these categories are inter-related, since farmers live on farms in rural areas, are exposed to farm animals, are more likely than urban dwellers to drink well water and use pesticides. The studies were attempting to tease out why rural environments increased the risk of PD. Do only those who actually farm have an increased risk or is it enough to live on a farm? Is pesticide exposure the reason for the increased risk? Well water exposure? Exposure to farm animals? Or is it another element of rural life? In the end, epidemiologic data supports the assertion that each of these elements increases the risk of PD. Of note, all of the increased risks in these studies are small – on the order of 1.5-2 times the risk of the general population. Has anything changed over time? Since most of the studies concerning PD and rural living were done decades ago, a recent study sought to revisit this issue since farming life has changed in recent times. Pesticide use is reduced, there has been a large migration from rural to urban areas, and there is less dependence on well water in rural communities. The new study was conducted in Finland and looked at the incidence of PD in rural versus urban areas. Interestingly, rural living remained a risk factor for PD. It is possible that current diagnoses of PD continue to reflect the environmental exposures of decades ago, and that risk reduction in rural areas due to decreased pesticide use and other changes in farming life may show more benefits in the future. However, the study suggests that we may not yet fully understand how the rural environment affects Parkinson’s risk. The evidence that pesticide use is associated with an increased risk in PD, begs the question – are there specific pesticides that are most concerning? When data is collected on this topic in large populations, often the participants in the study are unaware of which specific pesticide exposures they have had. This makes it difficult to determine which pesticides to avoid. Some studies however were able to investigate the risks of specific chemicals. A recent review summarized the current state of knowledge on this topic. The chemical with the most data linking it to an increased PD risk is paraquat, with exposure associated with a 2-3 fold increased PD risk over the general population. One particularly comprehensive study investigated exposure to 31 pesticides and their association with PD risk. From that data emerged paraquat and rotenone as the two most concerning pesticides. Paraquat’s mechanism of action is the production of reactive oxygen species, intracellular molecules that cause oxidative stress and damage cells. Rotenone’s mechanism of action is disruption of the mitochondria, the component of the cell that creates energy for cell survival. Interestingly, both mitochondrial dysfunction and oxidative stress are common themes in our general understanding of what causes death of nerve cells in PD. Of note, rotenone is often used by home gardeners and not necessarily on farms. It is extracted from plants and is therefore considered by some to be a “natural” pesticide. Nevertheless, it has been linked to PD in humans, and in fact is used in the laboratory to induce a Parkinson’s-like state in animals. Organochlorine and organophosphate pesticides are also associated with increased risk, although DDT, one specific type of organochlorine pesticide, was not associated with increased risk of PD in more than one study. Although studies suggest that a rural environment increases risk of PD more than an urban environment, those who live in cities have their own pollutants to be concerned about. Numerous epidemiologic studies have investigated the role of air pollution in PD risk. A recent review summarized the current state of knowledge on this topic and analyzed the association between PD and various types of air pollutants including ozone, particulate matter of various sizes, nitrogen dioxide, and the airborne metals copper, mercury, and manganese. Results varied across studies but overall, data exists associating each of these components of air pollution with a small increased risk of PD. There are many other chemicals in use today that may increase risk of PD. However, data is hard to come by and variable in conclusion. There is evidence that certain solvents and metals increase the risk of PD and additional studies are needed. Agent Orange was an herbicide that US troops sprayed in Vietnam from 1961-1971 to kill trees and crops that provided protection and food to the rival army. It is a mixture of two chemicals: 2,4-Dichlorophenoxyacetic acid and 2,4,5-Trichlorophenoxyacetic acid. Agent Orange was also contaminated with Dioxin, a chemical even more damaging than Agent Orange itself, since it is very long-lasting. The effects of Agent Orange (and its contaminants) on both the Vietnamese population and on American soldiers has been studied extensively, but with much variability in the results. Birth defects have been attributed to Agent Orange exposure, as well as multiple types of cancer. With the understanding that the Veteran community served selflessly on behalf of the American people and therefore deserve the protection and support of the American government, the Agent Orange Act was passed in 1991, allowing the Department of Veteran Affairs to declare certain conditions “presumptive” to exposure to Agent Orange, even if the scientific data associating Agent Orange with that condition was not airtight. The list of conditions has grown over the years, and in 2010, PD was added. 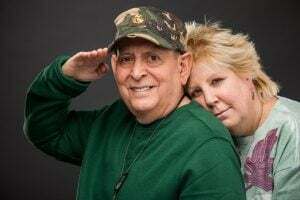 Read here about how veterans who may have been exposed to Agent Orange and have subsequently developed PD are eligible for VA healthcare and disability compensation. APDA offers a free booklet specifically for veterans to help them find the care and support they need. Rural living, farming and pesticide exposure are linked to a small increased risk of developing PD over the general population. The pesticides with the most convincing data connecting them to increased risk of PD include paraquat and rotenone and one should consider limiting exposure to these chemicals. Multiple other chemicals have been associated with an increased risk of PD including solvents and many components of air pollution. There are likely additional chemicals that increase the risk of PD that we are not yet aware of. It is therefore impossible, or at least extremely difficult, to avoid all substances that may increase the risk of PD. Veterans who may have been exposed to Agent Orange and have PD should be aware that they are eligible for disability compensation. Dr. Gilbert received her MD degree at Weill Medical College of Cornell University in New York and her PhD in Cell Biology and Genetics at the Weill Graduate School of Medical Sciences. She then pursued Neurology Residency training as well as Movement Disorders Fellowship training at Columbia Presbyterian Medical Center. Prior to coming to APDA, she was an Associate Professor of Neurology at NYU Langone Medical Center. 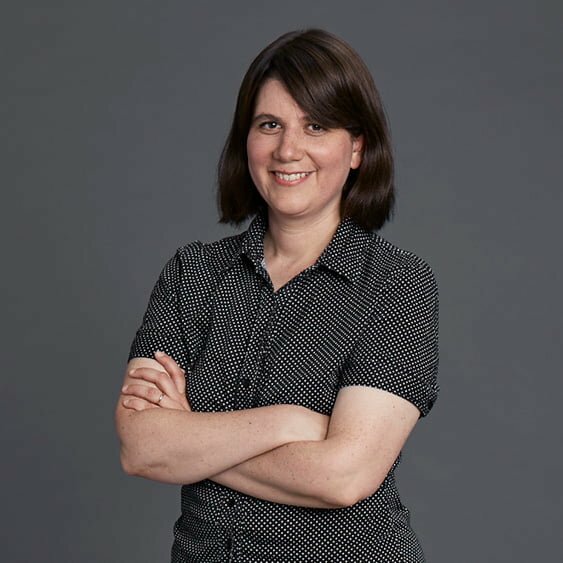 In this role, she saw movement disorder patients, initiated and directed the NYU Movement Disorders Fellowship, participated in clinical trials and other research initiatives for PD and lectured widely on the disease. DISCLAIMER: Any medical information disseminated via this blog is solely for the purpose of providing information to the audience, and is not intended as medical advice. Our healthcare professionals cannot recommend treatment or make diagnoses, but can respond to general questions. We encourage you to direct any specific questions to your personal healthcare providers.